FLIR Systems Inc, (NASDAQ: FLIR) is a leading manufacturer of innovative imaging systems that include infrared cameras, aerial broadcast cameras and machine vision systems. Our products play pivotal roles in a wide range of industrial, commercial and government activities in more than 60 countries. Pioneers in the commercial infrared camera industry, the company has been supplying thermography and night vision equipment to science, industry, law enforcement and the military for over 50 years. From predictive maintenance, condition monitoring, non-destructive testing, R&D, medical science, temperature measurement and thermal testing to law enforcement, surveillance, security and manufacturing process control, FLIR offers the widest selection of infrared cameras for beginners to pros. With over 60 offices and the largest installed infrared camera base in the world, FLIR offers its customers unparalleled service, the best post-sale technical applications support available and world-class infrared camera and thermography applications training. The Department of Sport and Exercise Science at Portsmouth University, UK reports on the advantages of using FLIR Systems thermal imaging cameras for measuring skin temperature at rest, during exercise, and recovery. FLIR Systems has published an applications article that describes how a leading US university has been using a FLIR A655sc thermal imaging camera to study the effect of temperature on tissue autofluorescence. FLIR Systems has announced the X6570sc high-speed infrared camera, the latest in FLIR's X6000sc series of cameras for engineers, researchers, and scientists. FLIR Systems announces a web page that brings together the opportunity to sign-up for forthcoming free live online tutorials and review recent popular thermal imaging webinars, seminars and events. FLIR Systems has announced the full program for InfraMation 2016 - the world's largest thermal imaging training experience. The FLIR SC7000 Series is specifically designed for academic and industrial research applications that require a flexible thermal imaging camera with high sensitivity, accuracy, spatial resolution, and speed at an affordable cost. 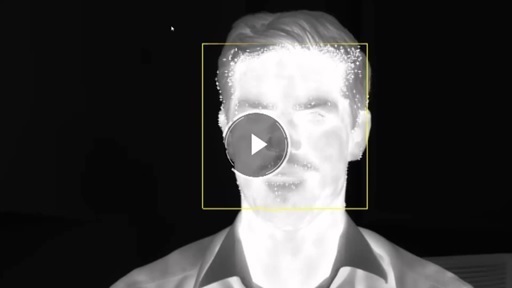 To enable users to get started, and then gain the full potential of their powerful ResearchIR 4.2 thermal imaging software, FLIR Systems has created several informative online tutorial videos that may be viewed online. FLIR Systems reports on an academic journal paper, written by researchers Dr. Alexandros Charogiannis, Dr. Ivan Zadrazil and Dr. Christos Markides at the Department of Chemical Engineering, Imperial College London, that describes a novel, combined IR thermographic and velocimetry technique for the investigation of multiphase flows. FLIR Systems announces a new addition to its RS-Series of long-range infrared camera systems designed for range tracking, target signature, research, and scientific applications. FLIR Systems has announced the specially priced C2 Education Kit to bring the power of thermal imaging technology within the reach of elementary schools, high schools and other educational institutes. FLIR Systems announces that the latest version of its Research IR software - ResearchIR Max version 4.2 gives users direct access to their MATLAB scripts within the software program for the first time. FLIR Systems, the global leader in thermal imaging, has announced its 15th Annual InfraMation Conference to be held May 12-15 2015 in Nashville, Tenneesee (USA). FLIR Systems has chosen the Photonex exhibition, being held at the Ricoh Arena, Coventry (UK) on 15th and 16th October 2014, to present its market-leading high performance thermal imaging camera range to the UK market. The Department of Chemical Engineering at Imperial College London (UK) has elected to use a FLIR Systems X6540sc thermal imaging camera to conduct innovative heat transfer experiments on thin-film flows. FLIR Systems has launched its new X6580sc thermal imaging camera as a solution for researchers and scientists that require ultra-fast frame rate acquisition of extremely dynamic thermal events. FLIR Systems has announced the release of a new range of thermal imaging cameras optimised for industrial R&D applications including tyre / brake testing, on and through glass measurements, welding / soldering processes and fast moving process control applications. FLIR Systems new Application Story Book brings together a wealth of useful information for organisations using or considering using thermal imaging for a scientific or research and development application. FLIR Systems Introduces New Multi-Modal GC/MS Instrument for Chemical Identification Mar 23, 2011 FLIR Systems, Inc. (NASDAQ: FLIR) announces the release of the GriffinTM 460 mobile GC/MS (gas chromatograph mass spectrometer) instrument. This state-of-the-art instrument enables innovative multi-modal sample introduction for liquid, solid, and vapor samples while also providing continuous, direct air monitoring. The Griffin 460 is the only mobile GC/MS to provide this range of sample introduction in a single system that also enables MS/MS.